The Vice President, Prime Minister and Ruler of Dubai, His Highness Sheikh Mohammed bin Rashid Al Maktoum, His Highness Sheikh Mohamed bin Zayed Al Nahyan, Crown Prince of Abu Dhabi and Deputy Supreme Commander of the UAE Armed Forces, and His Highness Dr Sheikh Sultan bin Mohammed Al Qasimi, Supreme Council Member and Ruler of Sharjah, have been named among the most influential Arab personalities who will leave a significant mark on the new year 2018, by Egypt's "Al Ahram Al Arabi" weekly. In an article titled " Mohammed bin Rashid ...The Knight of Knowledge", the magazine said in its annual review that Sheikh Mohammed is "a poet before being a knight and a knight before being a ruler. He is a ruler who combines all the qualities of a true leader, including a well-integrated, in-depth vision. As a politician, his influence goes far beyond the current or even the coming years thanks to the impressive achievements he has made, including major reforms while steering the helm of his country's government." Among these achievements, the magazine continued to say, are "the Federal Government Strategy in 2008, the UAE Vision 2021 which is a well-integrated reform process aimed at ensuring full-fledged socio-economic development, and a transformational evolution for the public sector while maintaining and protecting the UAE national identity." On HH Sheikh Mohamed bin Zayed, the magazine said that the Crown Prince of Abu Dhabi is the 'Shield of the UAE.' "He is an exceptional Arab leader who combines the energetic spirit of the youth with wisdom and discretion." The magazine said that Sheikh Mohamed bin Zayed is the architect of the development the UAE army's capabilities, a mission, it said, to which he has dedicated his utmost priorities that included as well comprehensive ideas for ensuring an all-out development for his nation. 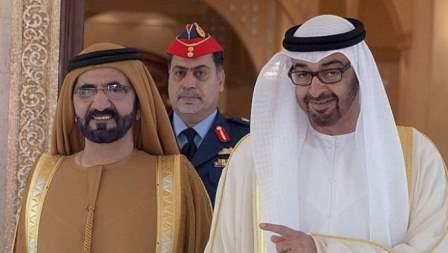 "Man comes first in Sheikh Mohamed bin Zayed's plans for the development of his country's as he views the human wealth as the most cherished asset of the homeland and the primary pillar on which the entire nation is founded, pledging in so doing to provide the current and future generations of his country the best conditions to innovate and keep their nation in a supreme position," said the magazine. The magazine added that H.H. Dr. Sheikh Sultan represents a unique type of leaders who never stops giving. "He has established a well-integrated cultural infrastructure for his emirate that enhances the intellectual awareness of his people and protects the national memory from relegating into oblivion. Sheikh Sultan's noble acts extend far beyond the emirate of Sharjah and the UAE to reach out to all Arab countries, portraying him as the Guard of the Arab and Islamic History." Among other Arab personalities named by the magazine are Prince Mohammed bin Salman Al Saud,Crown Prince and Minister of Defense of the Kingdom of Saudi Arabia; Prof. Dr. Ahmad Muhammad al-Tayeb, Grand Imam of Al-Azhar; and Pope Tawadros II, the 118th and current Pope of Alexandria and Patriarch of the See of St. Mark.